The YOUNG VOICES CAN! Experience | YOUNG VOICES CAN! Open to anyone between the ages 13 years old and 17 years old in Ottawa, YVC! runs exciting and innovative year-long programs, culminating in a sleepover mini-camp in the summer. Young people get together in a variety of venues to learn about each other and share new experiences. The 2017/2018 program is based on environment issues. With qualified facilitators, kids learn about their community, get to know their city and make new friends, all while having fun! All sessions are free and transportation and food are provided. In March, YVC! participants had a chance to explore a group of select cultural art pieces created by Indigenous artists in the National Gallery of Canada with the help of a museum’s tour guide. Following the tour, everyone engaged in thoughtful discussions related to the connections, they had with the stories behind the art pieces. One of the major highlights of this youth gathering was, when the young participants shared their circumstances of arrival to Canada (or Canadian origins) and the meaning of the word ‘land’ for them and of course the Pizza and drinks! 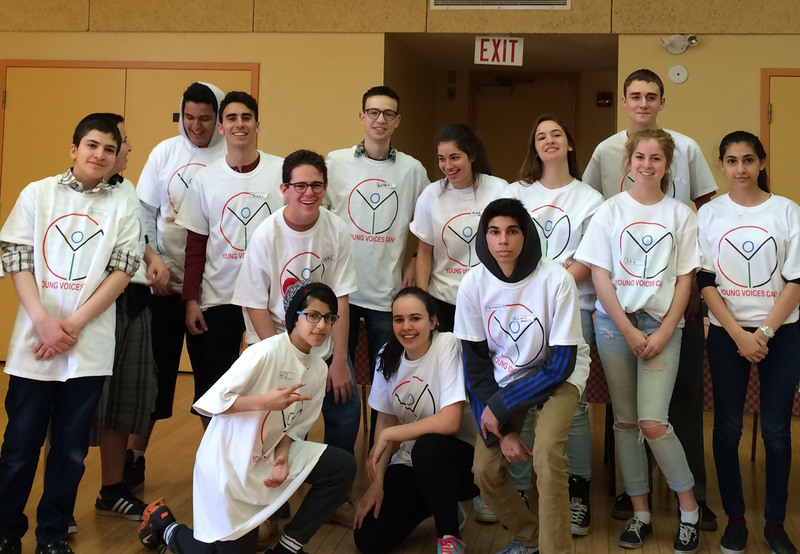 In April 2016 we launched our school year program at an event where 20 Jewish and Muslim teens cooked traditional Syrian food and served dinner to 70 Syrian refugees. A great success, the gathering was addressed by Imam Zijad Delić, Rabbi Michael Kent and Councillor Michael Qaqish. Last year YVC! 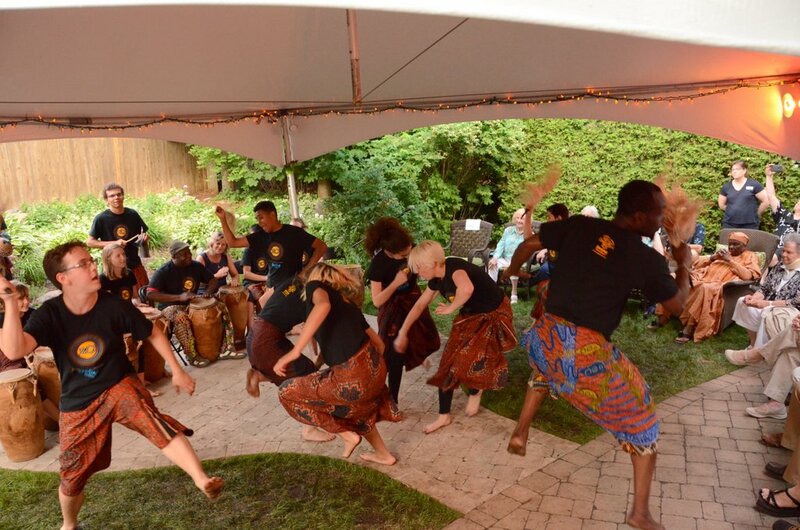 partnered with Baobab Youth Performers for a program of West African drumming, movement and singing – a wonderful metaphor for exploring themes of unity and diversity, team building and change and transition. Both the organizations engage youth from diverse populations with the intent of fostering connection and understanding. Particularly during these times of global unrest and disconnection among young people, we feel that our organizations’ goals are closely aligned. We are excited to share strategies and skills. On Thursday, December 6th, 2018, a group of Young Voices Can! volunteers and board members joined forces with the Rideau-Rockcliffe Community Resource Center and served a delicious holiday dinner to over 150 underprivileged community members. Our volunteers and board members were spotted greeting and registering guests, setting up and cleaning up before and after the event, serving dinner, doing craft activities, and decorating cookies with the children. The night ended with some of our volunteers getting the chance to help Santa hand out his wonderful gifts to the attending families! On Friday September 28th, an enthusiastic group cleaned up garbage from on Alta Vista Drive from Ridgemont Ave to Bank Street. This was the first of our activities which will culminate in a summer leadership conference for youth at Ashbury College. The event gave visibility to YVC! and a number of homeowners came out and thanked the kids. One lady said “in all my years here I have had tons of garbage thrown on my lawn by students but this is the first time I’ve ever seen kids picking up the garbage”.